In this video series Get To Know Us, we asked a few Sisters of the Holy Family of Nazareth to share with you what gets them up in the morning, what drives them to continue serving families and what energizes them in their ministries and daily lives. Over the next few weeks, we will be releasing these short videos to help you get to know us as we live the spirit of Jesus, Mary and Joseph in the most simple and ordinary experiences of human life. This week we feature Sr. Rose Marie O’Barski. Sr. Rose Marie entered the Sisters of the Holy Family of Nazareth in 1952. Get to know Sr. Carol Szott. Get to know Sr. Antonina Gadacz. Get to know Sr. Kathleen Stadler. 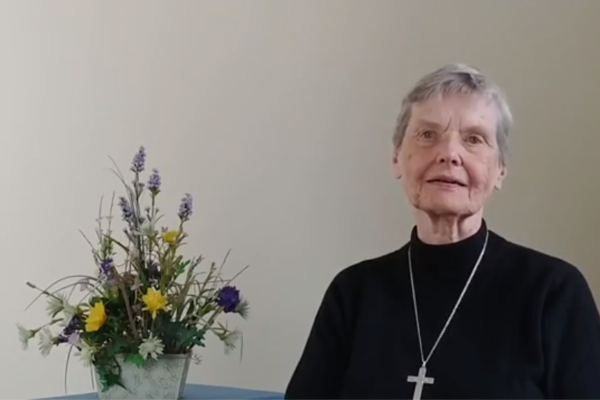 Get to know Sr. Dorothy Mary Pawlus. Would you like our sisters to pray for your intentions? Send us a prayer request.